The Tennessee State Library and Archives offers regular content-based, primary source workshops for educators. If you would like to have the Library & Archives provide professional development for educators in your community, please contact Kelly Wilkerson at 615-253-3469 or by email at Kelly.Wilkerson@tn.gov. Lunch and six professional development hours provided. When & Where: Dates and locations are listed below. Workshop Description: Please join the Library & Archives Education Outreach team for this primary source driven summer teacher institute. 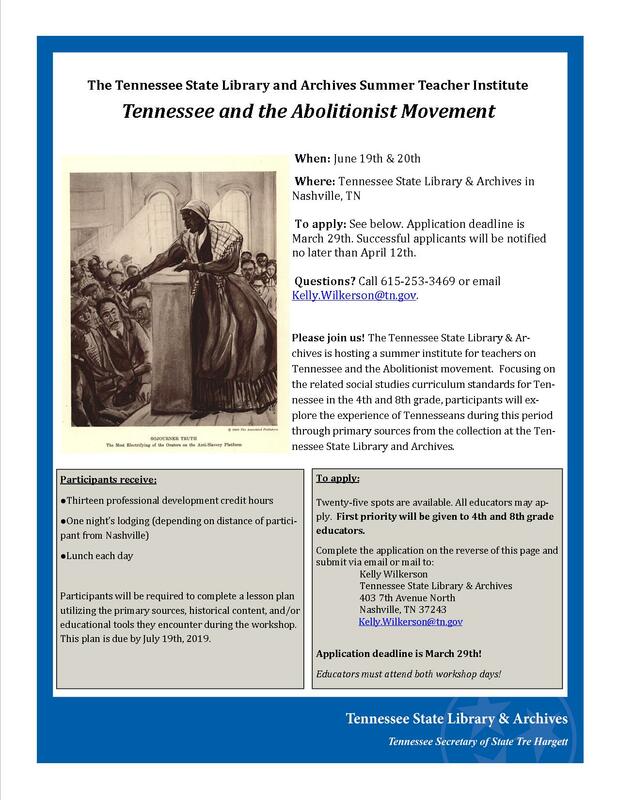 An enhanced, more in-depth version of our school year workshop series, this institute is designed for Tennessee educators teaching the abolitionist movement in the 4th & 8th grades. All activities are geared toward Tennessee's social studies curriculum standards for this topic. To Apply: The application period for this institute closed on March 29th. Successful applicants will be notified no later than April 12th. Twenty-five spots are available. All educators may apply. 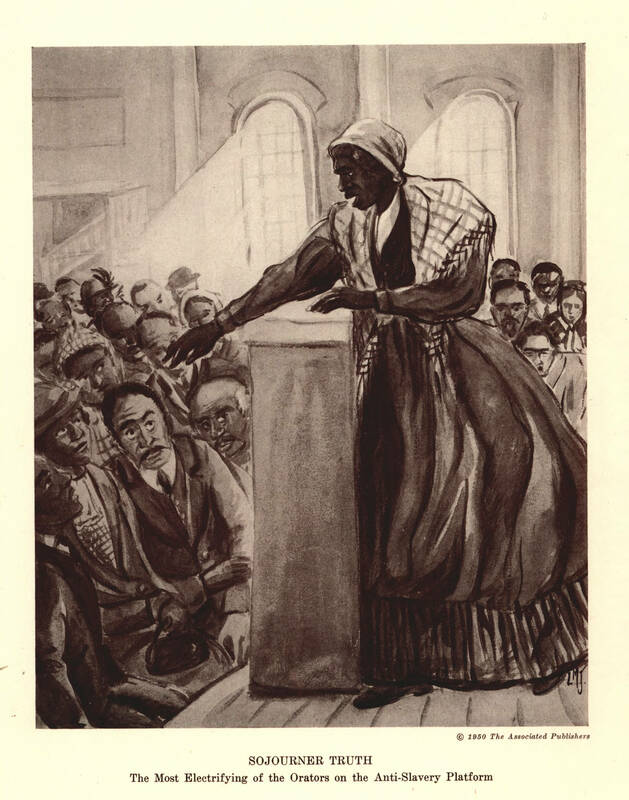 First priority will be given to 4th and 8th grade educators and those educators in other grades or specialties focused on teaching the abolitionist movement.